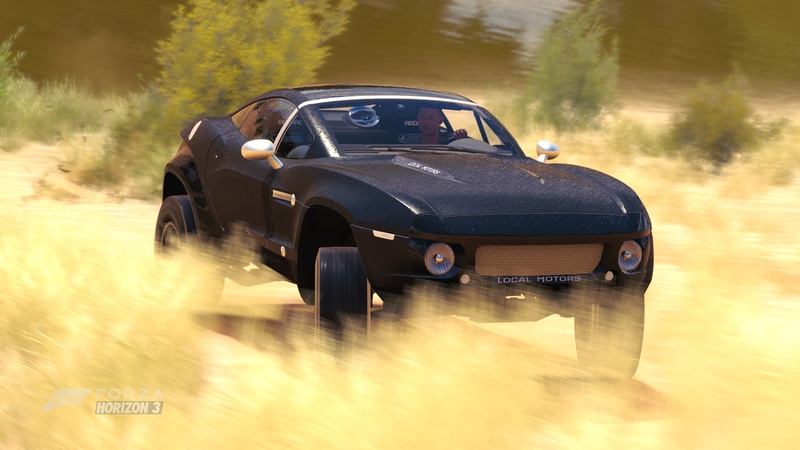 You think the Rally Fighter is a unique vehicle? No doubt it is as innovative as it is awesome, and it’s no fluke. Local Motors of Phoenix, Arizona builds the Rally Fighter and other unique rides utilizing open-source motor vehicle designs. Everything they build is an evolution of a design that sprouted organically and, once proven to be viable, built using multiple micro-factories. Check out the Local Motors Web site and you can submit a design. If it is worthy and produced, you can earn a share of the profits. From electric skateboards and quadcopters all the way to the first 3D-printed electric car. At first glance you say “What is it?” Upon further inspection you wonder, “What were they thinking?” Once you settle down and strap in, everything is made clear. If you can catch your breath long enough to explain what the driving experience is like --through that giant idiotic grin the Rally Fighter has cemented into your face-- it’s likely your statement will begin with “Oh my God!” Yes, the Local Motors Rally Fighter is what the word awesome was truly meant to describe. A prototypical race body and tube frame chassis set on a massive suspension, with huge tires and the grunt of a GM LS3 under the hood pushing the rear wheels. Uh, huh, the rear wheels only. In the style of the most successful Baja racers the Rally Fighter doesn’t need the encumbrance of 4x4 components to lead the pack through any terrain you can throw at it. Through and through the Rally Fighter is tough as nails, and ready to carry four people in the safety its rugged roll cage to just about anywhere on Earth. Where will you test it?